Bangladesh expects that the measures it has taken to resolve the Rohingya refugee issue with Myanmar will be given ‘due importance’ by the new government led by Aung San Suu Kyi. 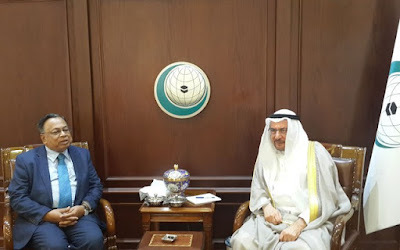 Foreign Minister Abul Hassan Mahmood Ali conveyed this sentiment to Secretary General of the Organisation of Islamic Cooperation (OIC) Iyad Ameen Madani when they met in Riyadh. The Rohingya refugee issue is a decade-old problem between the countries as Bangladesh has given shelter to hundreds of thousands of Rohingyas. Myanmar has denied them citizenship. According to a statement, the foreign minister in his meeting with the OIC chief on Thursday highlighted Bangladesh’s measures to resolve the matter through “a constructive dialogue” with Myanmar. He believed that this process would get ‘due importance’ after the Nobel peace laureate Suu Kyi-led National League for Democracy (NLD) assumed power. The NLD will form the government in February. Ali also appreciated the OIC’s role in the matter, and stressed on a “collective role of the international community” to address this issue. Bangladesh is an active member of the OIC contact group on the Rohingya issue. The minister also stressed the readiness of the Bangladesh government “to extend full support to the cause of Muslim Ummah where OIC has been engaged”. Ali also briefed the OIC chief about Prime Minister Sheikh Hasina’s initiatives for the socio-economic development of Bangladesh. 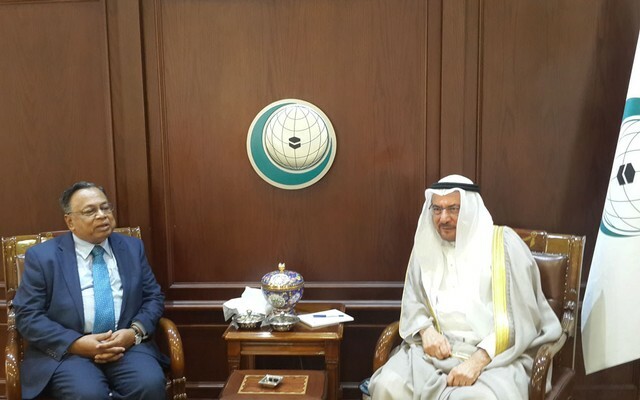 The secretary general briefed Ali about the OIC’s priorities and the forthcoming summits and conferences. He reaffirmed the OIC’s interest to continue its engagement with Bangladesh to enhance peace and development as well as political stability across the Muslim world. The foreign minister returned to Dhaka on Friday after his three-day official visit to Riyadh.